I managed to get myself invited by ChurpChurp to this edition of Churp Out session after missing out on the previous one. It was quite awhile since the first session was held (which I attended) and I just couldn’t allow myself to pass this time ’cause there’s definitely going to be free foods and beverages and funny moments at a #ChurpOut. Chatime needs no introduction, I believe. Bubble / pearl tea has drastically trended this in Malaysia this year, spawning many different franchises, mostly from Taiwan, and Chatime is perhaps at the top of the domestic market at the moment. Many may argue that they do not offer the best quality of bubble tea in the country, I would as well, but they’re still great, nonetheless. Along with the other invited Churpers and Nuffnangers at Eat Food Village (a food court at Publika, Solaris Dutamas) yesterday, we were given RM20 worth of vouchers each to spend at the food court and so without hesitation, I took the opportunity to try the most expensive beverage on the menu – the Strawberry Pudding Au-lait smoothie with pearls/bubbles. It cost me half of my vouchers and fortunately, it wasn’t bought with my own cash. It tasted fine but still I prefer the other stuffs they have. My personal favourite amongst all that I’ve tried thus far is the Chatime Milk Tea. 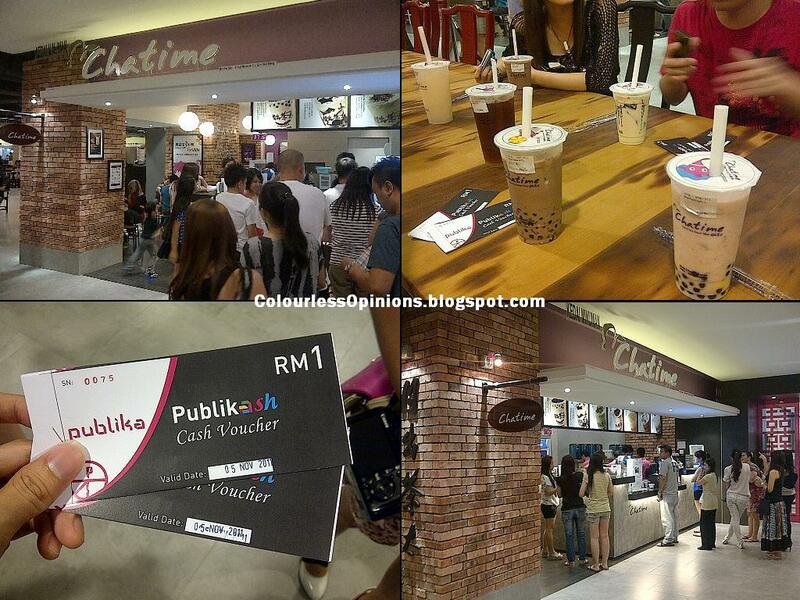 Of course, the Chatime #ChurpOut session wasn’t just about spending the vouchers. The Nuffnang and ChurpChurp staffs had a short ice-breaking interview on randomly picked attendees and also a little game which got the winning group some decent prizes (psss… two members from the group don’t actually like going for Chatime drinks). All attendees were also given a mini cutlery set each at the end of the event. I liked how the owner of the outlet was promoting the other food stalls at Eat Food Village as well, making it a point that they’re not telling you to go all the way there only for Chatime as there are decent halal and non-halal foods around too. Perhaps the biggest problem about this outlet is that Eat Food Village has no mobile signal at all. This is incredibly frustrating as people actually have to walk all the way out just to check or use their cellphones. The other issue would be the position of the Chatime counter because a long queue of their customers would block the entrance of the food court, which would also cause the busy mobile phone users there to walk in and out unpleasantly. If you’re a Churper or Nuffnanger, you might be pleased to know that this Chatime outlet is currently running a buy 2-free-1 promotion exclusive for you. How nice is that? 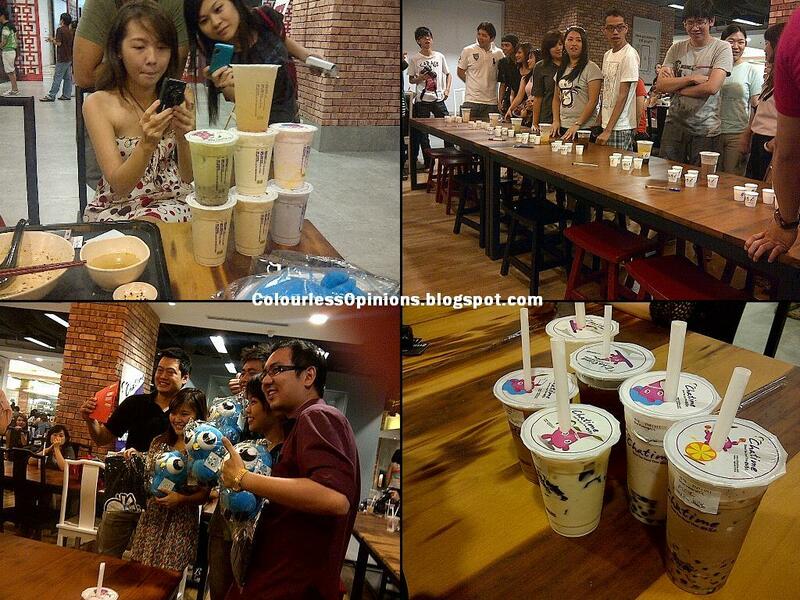 But after having so much of it at this #ChurpOut session, I think I might be sick of bubble tea already… (hey, I heard the Chatime outlet in One Utama is now opened for business! )… or not. Lol, what's that last photo eh? So so so weird! 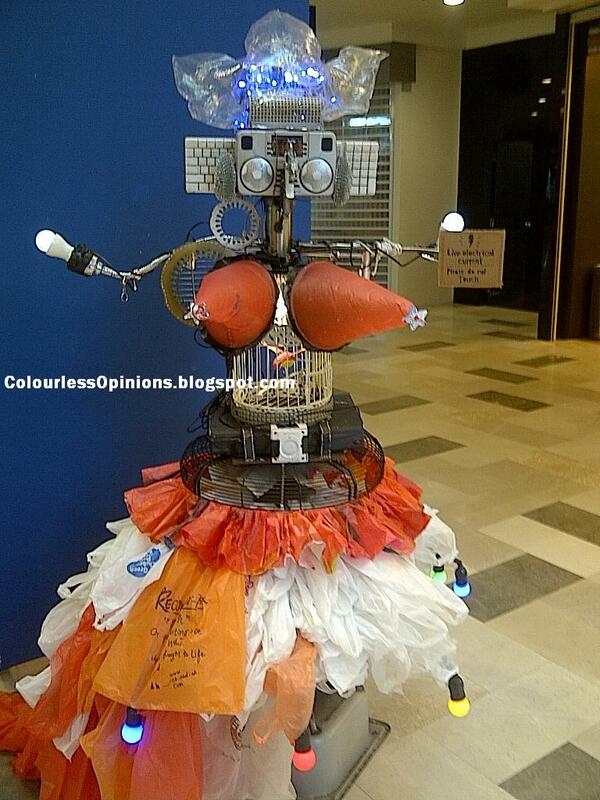 I love the booby robot as well! There's one at SS15 Subang Jaya and I did try one of the those they offer, not too bad in taste but its like a ones a while try for me. Btw, it took a while for my drink to be made and I have to wait with the many others too. 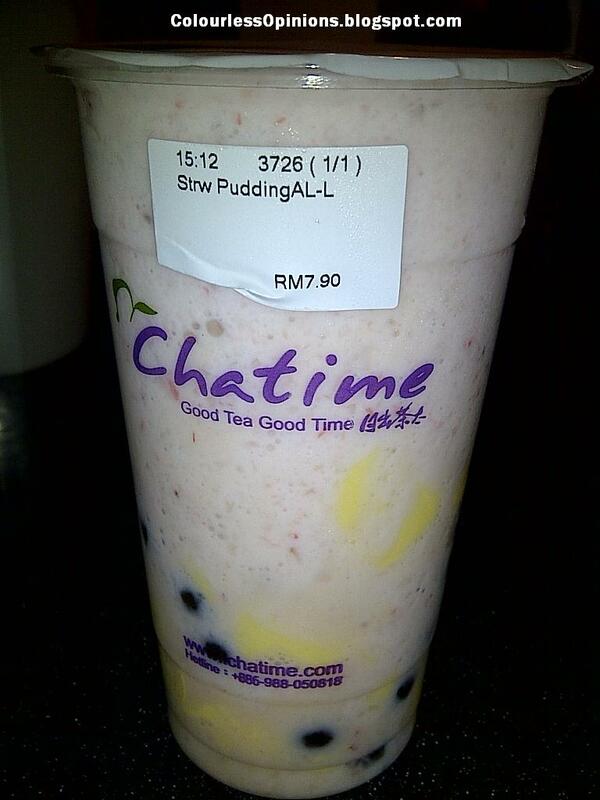 I've heard quite a bit about Chatime, must pay a visit one of these days.